Here’s the press release for an upcoming novel by James Swallow that bridges the gap between the eighth season and 24: Live Another Day. I’m really excited for this one. 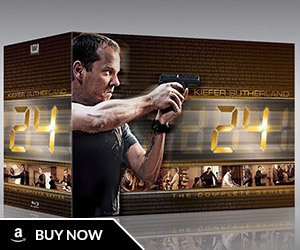 The groundbreaking television phenomenon “24” returned May 5, 2014 for a twelve episode arc, and Tor/Forge Books, in conjunction with Twentieth Century Fox Consumer Products, will release 24: Deadline on August 5, 2014 to answer the question of what happened to CTU agent Jack Bauer between the thrilling final moments of the last season and his heroic return this Spring. 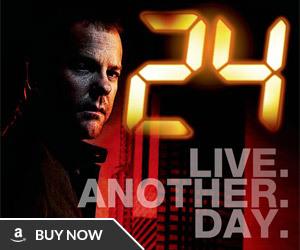 Receiving 73 Emmy Award nominations over eight seasons, “24” revolutionized the format of TV dramas on a global scale. Kiefer Sutherland starred as heroic Counter Terrorist Unit agent Jack Bauer, racing against the clock in real time to thwart multiple terrorist plots over eight seasons. 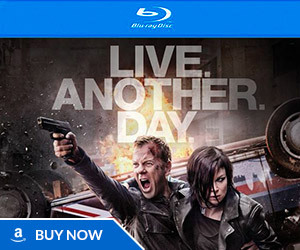 On May 5, 2014, Jack Bauer returned in “24: Live Another Day” to restart the ticking clock on the groundbreaking and Emmy Award-winning drama. 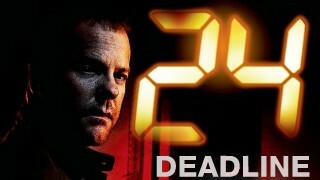 24: Deadline will answer some of the questions of what happened to Jack in the four years between the end of season eight and the new “24: Live Another Day” event series. One hour after the dramatic conclusion of “24” Day eight, former federal agent-turned-fugitive Bauer dresses his wounds and considers his next move. With his former colleagues in the Counter Terrorist Unit now dead, under arrest, or shut down, Jack has no resources to call upon, no back-up and nowhere to go – only his determination can drive him on. One thing remains clear to him: the promise he made to his daughter Kim. Jack vows that he will see Kim one last time to tell her he loves her… before he drops off the radar forever. 24: Deadline is an all-new adventure written by three-time New York Times bestselling author James Swallow. Swallow has previously worked on such franchises as Star Trek, Stargate, and Doctor Who, in addition to being a BAFTA nominee. This hardcover novel will go on sale August 5, 2014 at $24.99 and will be available wherever books are sold. Mimicking the format of the TV show, the book will equal 24 hours in Jack’s life, just as each season of the show is 24 hours. 24: Deadline will be the first of three tie-in novels from Tor/Forge Books and Twentieth Century Fox Consumer Products. More information about this partnership and the release of 24: Deadline can be found at www.tor-forge.com/24deadline. If you have any questions, please leave them in the comments below and I’ll try to get them answered in an upcoming interview. 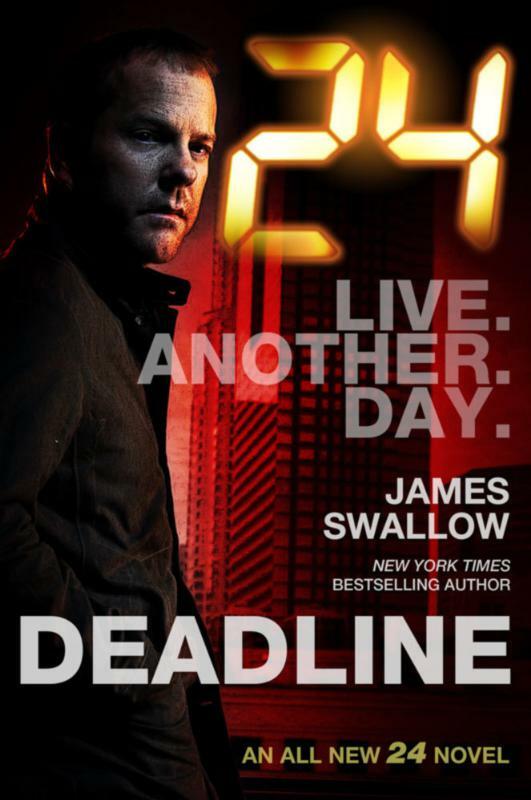 Author James Swallow answers questions about his upcoming “24: Deadline” novel. Also, a way to win a copy! so is the comic that was supposed to come out in april a no go now? No, that is also happening. It is five issues. I hope Teri woke him up after a long, deep sleep on that couch. Can you ask if he has read the other 24: Declassified novels and what his opinion on those are? And if the 24 creators who license the “expanded universe” stuff ever express their views on it being “canonical” or not? Thanks! Will Jack take a nap? lol he’s gonna need one now more than he ever has!! On a serious note, a Q&A is a great idea! Will Stephen’s last name be revealed in the novel? Is the novel a sort of fan fiction or the story as described by the creators of 24?